NPI reporting can seem tedious; however, diligent reporting can inform both environmental and financial outcomes of a company. Katestone has provided NPI reporting assistance to clients over the years and has found that there are a variety of ways that NPI reporting can help a company. For one client, an increase in fuel usage from one year to the next was not to be unexpected, due to an increase in operations occurring on site. However, when the breakdown of the fuel usage was provided to the client it indicated that the increase was mostly due to fuel being used for stationary sources on site, not fuel used in vehicles. This came as surprise to the client. After double checking that the fuel usage numbers had been reported correctly, the client decided to monitor records closely. It was found that the fuel being dispensed on site was being used for purposes other than site operations! 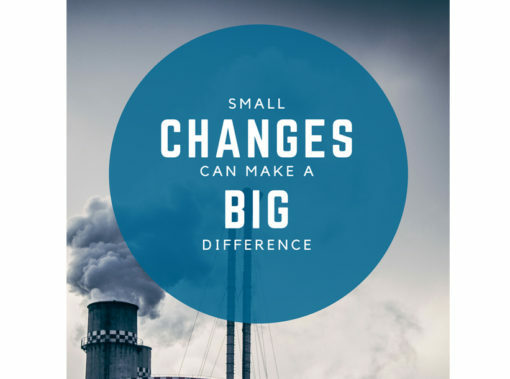 Subsequently the client made changes to its company fuel policy and as a result has seen a significant reduction in fuel usage, providing the client with an improvement in environmental and economic performance. At one time or another, clients have needed to implement additional controls to mitigate emissions to air. This may be as a consequence of receiving complaints, responding to conditions received from the regulator or wanting to improve the environmental outcomes of the operation. Our clients have relied upon the NPI data to inform and support their decision making process with regards to controls. For example one of our clients was considering the very expensive option of enhanced controls on a crushing and screening plant. Katestone’s analysis of the NPI data placed wind blown dust from stockpiles and open areas as the clear priority, with crushing and screening plant controls at the bottom of the pack in terms of cost and overall site benefits. The client had a range of lower cost solutions readily available to deal with wind blown dust. For another client, the site operation people had proposed the sealing of internal roads as a possible mitigation measure for the site. However, a business case was required to receive approval from the Board. Katestone’s analysis of the NPI data demonstrated the improvement in environmental performance in relation to emissions to air should the internal roads be sealed. This information was provided to the Board to supplement the business case. The NPI can also provide insight into environmental performance across an industry sector. Industry specific emission estimation handbooks provide a means to report consistently across an industry sector. However; it is imperative that agreement within the industry group is reached so the that the emission estimation handbooks are used consistently and activities are clearly defined. If this is done well, the NPI provides a means of monitoring the performance of an individual facility within industry sector.